The global concern over tax havens and their negative impacts on resource-rich developing countries raises questions about some major players in Ghana’s petroleum sector. 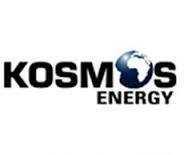 Tullow Ghana Limited and Kosmos Energy Ghana, the two major players in Ghana’s oil sector, are registered in Jersey and Cayman Island respectively, jurisdictions where beneficial ownership of companies and vital company financial information are shrouded in secrecy. A report released by Oxfam in 2016 suggested that Cayman Island and Jersey are the second and twelfth “world worse” tax havens respectively. The report entitled ‘Tax Battles,’ shows how these tax havens are leading a global race to the bottom on corporate tax that is starving countries out of billions of dollars needed to tackle poverty and inequality. “Tax dodging by multinational corporations costs poor countries at least $100 billion every year. This is enough money to provide an education for the 124 million children who aren’t in school and fund healthcare interventions that could prevent the deaths of at least six million children every year”, says Berkhout. Apparently, the registration of Tullow Ghana Limited and Kosmos Energy Ghana in these tax havens increases the country’s risk to tax manipulations such as transfer pricing abuses by these multi-nationals. The then Minister of Finance, Seth Terkper, in 2015, recognized the threat such a situation poses to the country’s budding oil industry. “The issue of transfer pricing is sophisticated and complex in nature and it has the potential of seriously eroding the tax base. Most extractive companies operate internationally and have extended dealings with affiliated companies, which increases opportunities for transfer pricing and potentially lowers the tax liability,” he said. Although in accordance with the laws of Ghana, both Tullow Ghana and Kosmos Energy Ghana have their local entities registered as well in Ghana, John Christensen, Founding Executive Director of UK-based Tax Justice Network says such a move is no cure to tax payment manipulations. His views are shared by a Senior Legal Analyst with New York-based Natural Resource Governance Institute (NRGI), Mr. Amir Shafaie, who believes that even if a company lists on a stock market after registering in a tax haven, there was still an opportunity to manipulate its tax obligations. “Besides, listing on stock markets discloses only the majority shareholders of the company”, he stressed. Meanwhile, it is not too clear whether in the midst of this global concern Ghana’s regulatory institutions and tax authorities have the capacity to protect the country against this threat.